Tour combines a fairy tale castle of Trakošćan with the baroque town of Varaždin (sightseeing of the Old Town, city centre, Varaždin's unique cemetery); lunch in a local restaurant (traditional Zagorje cuisine). 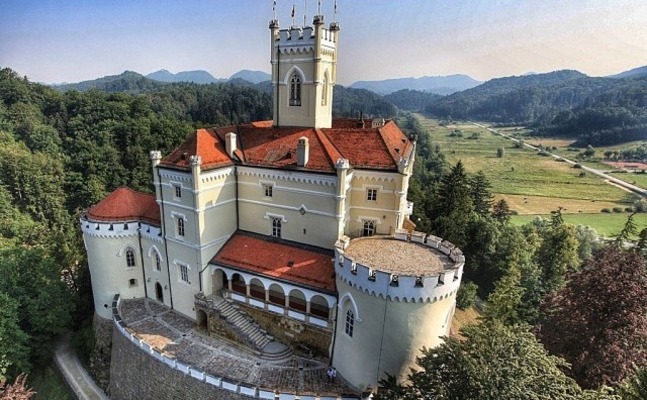 In the morning we start our tour with a visit to the Trakošćan castle (one and half hour drive from Zagreb), one of the architectural pearls of Zagorje region. We walk up to the castle, allow at least one hour inside and a short coffee break later on. We then continue our drive towards Varaždin (45 min ride). Beautiful Baroque town in the North of Croatia is a perfect place for a relaxing afternoon of sightseeing and strolling down the charming streets of the one-time capital of Croatia. We round up the day with tasty lunch in one of the most favoured Varaždin restaurants that boasts delicious local cuisine. 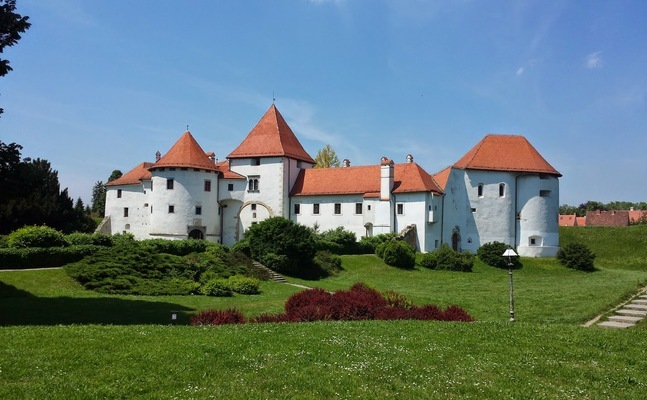 Includes: transportation (car or mini-van), licensed tour guide in English, entrance fees to Trakoscan castle and the Old Town of Varaždin (guided tour in English), delicious lunch in Varaždin with a glass of wine, information material on the tour, refreshments along the way. Meeting point: Your hotel or other accommodation in the city centre or outside the Central Railway Station. 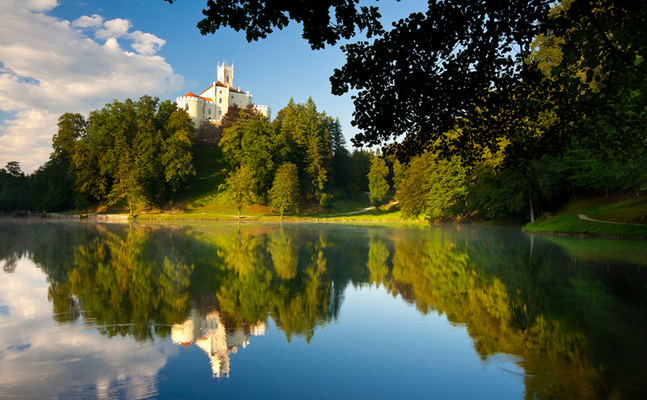 This tour will show you the architectural pearls of Hrvatsko Zagorje, the picturesque region north of Zagreb. We drive around the Mountain of Medvednica (literal translation of Zagorje region is „a region behind the hill“). This area is known for its beautiful castles, rolling hills covered in vineyards and popular health spas. 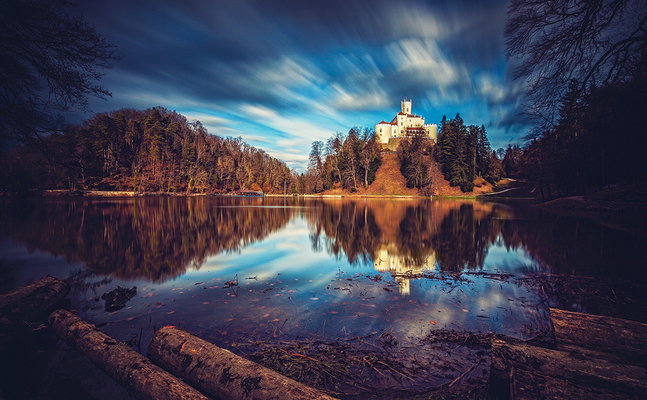 First we visit TRAKOŠĆAN, considered one of the nicest castles in Croatia. It was built in the 13th century as a rather small observation fortress for monitoring the road from Ptuj (todays Slovenia) to Bednja Valley (Zagorje). In the 19th century Trakošćan acquired its present appearance. 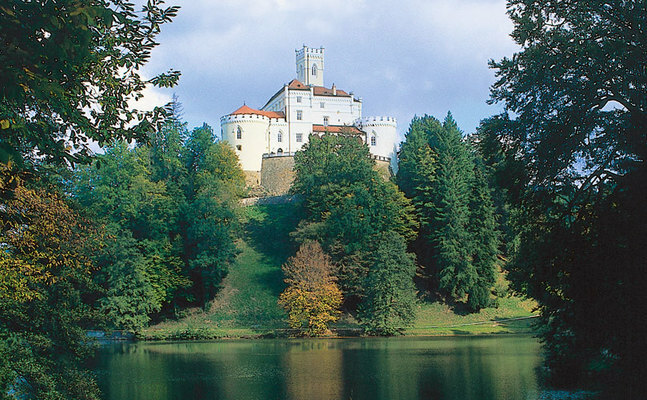 The castle is perched on top of the hill, there is an artificial lake underneath and a lush vegetation surrounding it. Thoroughly romantic experience! We ascend to the castle and allow roughly an hour for a visit. 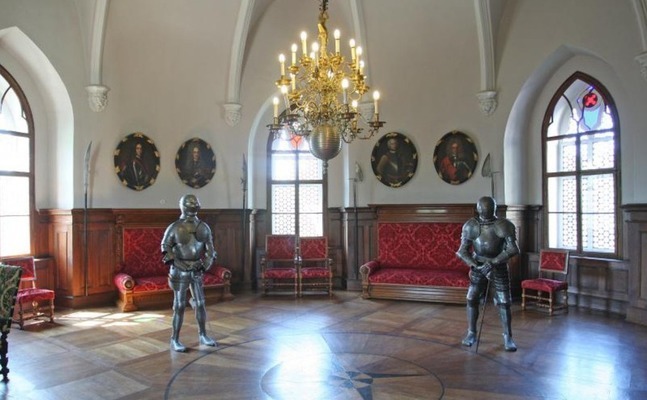 The castle was turned into a Museum in 1953 and comprises several collections on permanent display (weapon collection, furniture collection, painting collection etc.). It gives us the insight into the life of the Croatian nobility throughout centuries, namely Draskovic family. The display covers the period from 15th to 19th century and takes up all four levels of the castle. After the visit to the castle, we'll spare some time for a short walk to the lake. The lake is about mile and a half long and is surrounded by the landscaped park with meadows, trees and shrubs which form a harmonious horticultural whole. We continue our drive to Varaždin. 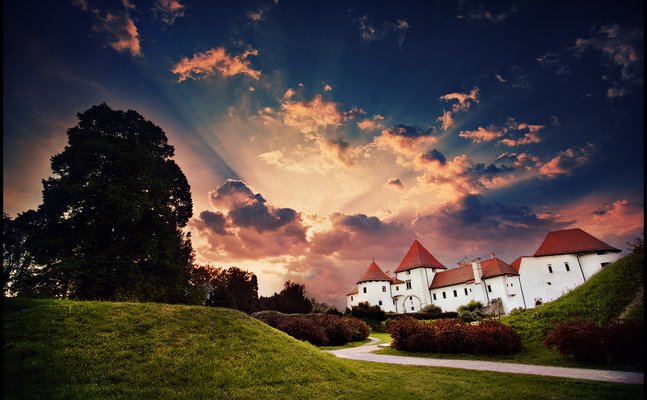 Varaždin represents the best preserved and richest urban complex in continental Croatia. It is the capital city of the Varaždin County and one of the oldest cities in Croatia, with the first mention in the 12th century. It has an important geographical position and is often called the “NW gates of Croatia”. Varaždin is the city of baroque, young people, music, flowers and bicycles. „Little Vienna“ with rich natural legacy interwoven in parks. 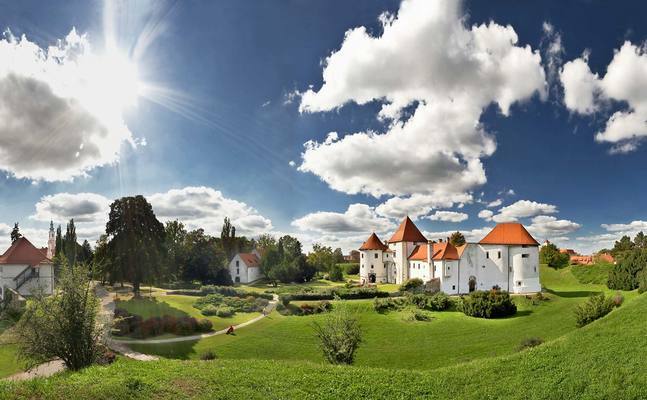 The royal, feudal fortress Old Town is the most important and most grandiose historical building in the City of Varaždin. It is the worldwide cultural heritage monument built in the period between 14th and 19th century. We will visit The Old Town (fortress) - an example of medieval defensive buildings. Its construction began in the 14th century, and in the following century the rounded towers, typical of Gothic architecture in Croatia, were added. Today it houses the Town Museum. In the museum we take a guided walk with an English speaking museologist. 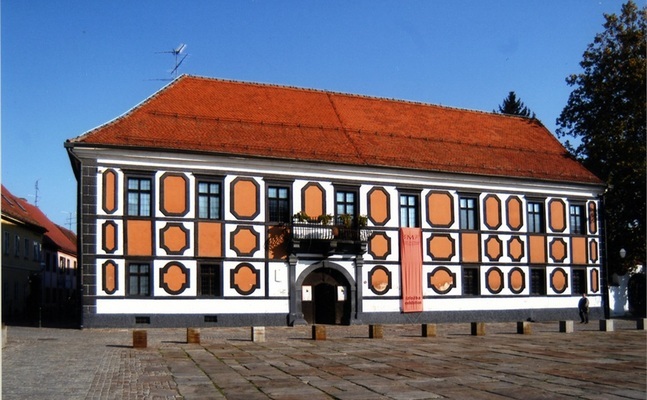 The Museum houses the Cultural and Historic Collection and features over 400 pieces: glass, ceramics and clock collection, 10 rooms furnished in chronological period style (renaissance, baroque, rococo, Empire, Biedermeier, historicism and art deco), a chapel and sacristy, and 2 rooms dedicated to two prominent men from Varaždin, Vatroslav Jagić and Ivan Kukuljević Sakcinski. After the Museum, we take a relaxed stroll around Varaždin. The big fire in 1776 had a great impact on architecture of the city. Large area inside the settlement was destroyed. After the renovation of the existing buildings, after the big fire, Varaždin got the look which is nurtured until today. That's why it is predominanly baroque and rococo in style, which gives it a unique, romantic touch. Worth particular mention is Varaždin's Croatian National Theatre, built in 1873 and designed by the famous Viennese architects Herman Helmer and Ferdinand Fellner. A baroque music festival has been held annually in Varaždin since 1971, and attracts some of the finest musicians and their fans from Croatia and the world. The city features its old city guard, named Purgari, in various city ceremonies as well as the weekly ceremony of the 'change of the guards' in front of the city hall. Additionally, Varaždin police officers patrol on bicycles in the warmer months. We will also visit the unique Varaždin cemetery which dates back to 1773. It was an ordinary cemetery until 1905, when Herman Haller got an idea to make it more beautiful and park-like with large trees and alleys for citizens to stroll along. The reconstruction of the cemetery was made between 1905 and 1947 when it got the present day form. With its landscaped architecture and carefully maintained vegetation, it is considered one of the most beautiful cemeteries in Europe, also a protected cultural and natural park. A perfect ending to this culture-packed tour is a relaxed lunch at the cozy Varazdin restaurant Šanjek, very popular among the locals. 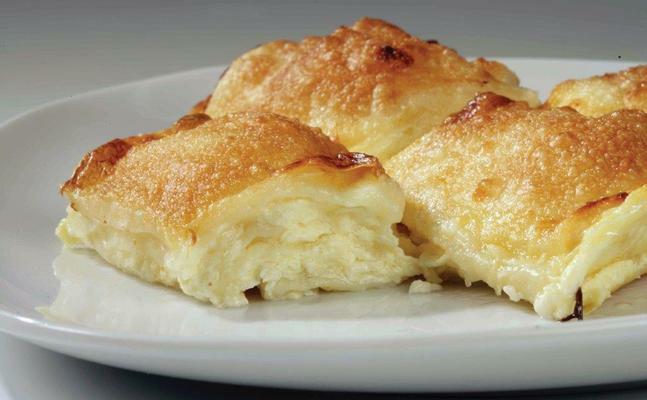 It serves typical specialities of the region so you get to try some of the authentic dishes such as štrukli, mlinci etc. If you are a meat-lover, you will love the place as the owner started with a small butcher shop decades ago. It became so popular that he started preparing some meat dishes and opened a small stand which later evolved into a restaurant. They also serve nice local wine. After lunch, we take the highway back to Zagreb (1 hour drive). Please note that you need to book the tour at least 24 hrs in advance. Funicular ride (for smaller groups, up to 6 people), monthly city guidebook, a map & a small surpise. Panoramic ride, coffee on Tkalciceva street, monthly city guidebook, a map & a small surpise. Panoramic ride, coffee at Bundek lake (Utrina farmers market in case of rain), monthly city guidebook, a map & a small surpise. Panoramic ride, tasting of famous „kremsnita“ custard slices, small gift at the Praunsperger manorehouse, tasting of Bermet – local aromatic wine, ferry accross Sava river (when the weather permits), monthly city guidebook and a map. Cash, credit cards and bank transfer. It's recomendable to wear good and comfortable walking shoes and casual clothes. A bottle of spring water is provided on the walk&ride tours. Good morning! – Dobro jutro! Good afternoon! – Dobar dan! Good evening! – Dobra večer! Good night! – Laku noć! How much is it? – Koliko košta? Pleased to meet you! – Drago mi je! How are you? – Kako ste? Very well, thank you! – Hvala, vrlo dobro. Do you speak English? – Govorite li engleski? I don't understand. – Ne razumijem.